For me, Brahms is a "soul mate" composer. Much (but not all) of his music touches me very deeply on every level: spiritually, emotionally, intellectually, and even physically. His greatest works not only withstand repeated listening, but they acquire a greater, deeper significance over time. As much as I adore Bach's music, Brahms is my soul mate. BTW, I have Brahm's favourite pub in my avatar. Well, you know, it is many years since I've gone on about Brahms on a board like this one. I've rarely talked about him for a long time - it's possible I talked myself out, in fact. To be honest, he is about the only composer I feel as passionately personal about as I do about Janacek. 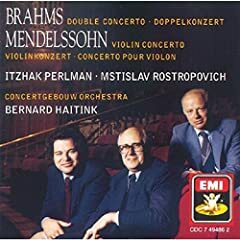 For me, though, the essence of Brahms is the other way around to D minor's - chamber/solo music first (and vocal/choral too), orchestral last: the concertos and symphonies may be his biggest statements, but they are outnumbered and out-Brahmsed by the chamber pieces, whose quality is utterly staggering, from smallest detail to largest effect, and whose every bar seems to contain something awesome, intimate, cathartic, ingenious. Then again, that has to be read against the fact that, temperamentally, I tend overwhelmingly towards chamber music rather orchestral - it's only my personal inclination. To be honest, he is about the only composer I feel as passionately personal about as I do about Janacek. Luke, you've been harboring this secret for all of these years! No secret, but as I say, I splurged all my gushingest, purplest prose on Brahms on boards long gone, and felt the need for a little abstinence However, I get the feeling that all the gush has been building up over the years and it won't take much to set it free. Yuck. Perhaps Robert Schumann garners the prize for the purplest praise of Brahms, when Schumann wrote in Neue Bahnen (New Paths) that Brahms was the musical Messiah the artistic world had been awaiting since Beethoven’s death. 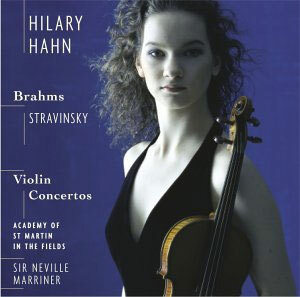 One of my favorite Brahms pieces is the String Sextet in Bb Op. 18. In my opinion it doesn't get nearly enough credit. Its a beautiful work. (Hey, it made a Vulcan cry on television so it's got to be pretty darn good). Very true . . . . . it rarely gets mentioned . . . . .
Its a beautiful work. (Hey, it made a Vulcan cry on television so it's got to be pretty darn good). I assume you're talking about Star Trek . . . . . . Movie or TV? I fell in love with Brahms' music at a very early age: we had Bruno Walter's recording of the Fourth Symphony at home (an old LP), and I played it to death. The other three symphonies followed soon after, and I love all of them, but the Fourth still speaks to me the most deeply. Around the same time (roughly age 16 or so) I heard a live performance of his Four Songs for Women's Chorus, Two Horns and Harp, Op. 17, and was transported. I could go on and on, but I can't recall a single Brahms work -- orchestral, choral, chamber music, solo piano -- that I don't like. High praise. Okay I'm going to fly my "geek flag" here but the Brahms Sextet was used in a Next Generation episode called "Sarek" in which the Vulcan cries at a ship concert. There are two excerpts during the scene, one from the 1st mvt of Mozart's Dissonance SQ, and the other from the 2nd mvt of the Brahms. Its a rather good scene and it actually has no dialogue for about two minutes while the music is playing. May I compliment you on your excellent taste! BTW, how about the ones with Bernstein (especially no. 2)? Anyway, I adore Brahms too! Zimerman/Bernstein/VPO/DG is an outstanding Brahms PC #2. 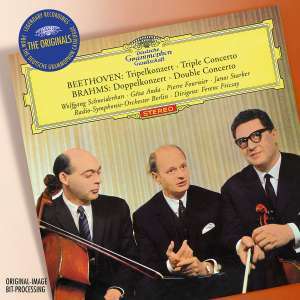 It remains one of my favorite post-1980 recordings of the B Flat concerto. And the video of this is to die for (I know it was available on VHS; not sure if it's on DVD). Zimerman/Bernstein with the D Minor concerto is also excellent (also on video). Any takers for the double concerto? Yes, Brahms' favourite pub (more of an inn - "Gasthof") was called "Zum Rothen Igel" (In the Red Hedgehog). Zimerman/Bernstein/VPO/DG is an outstanding Brahms PC #2.